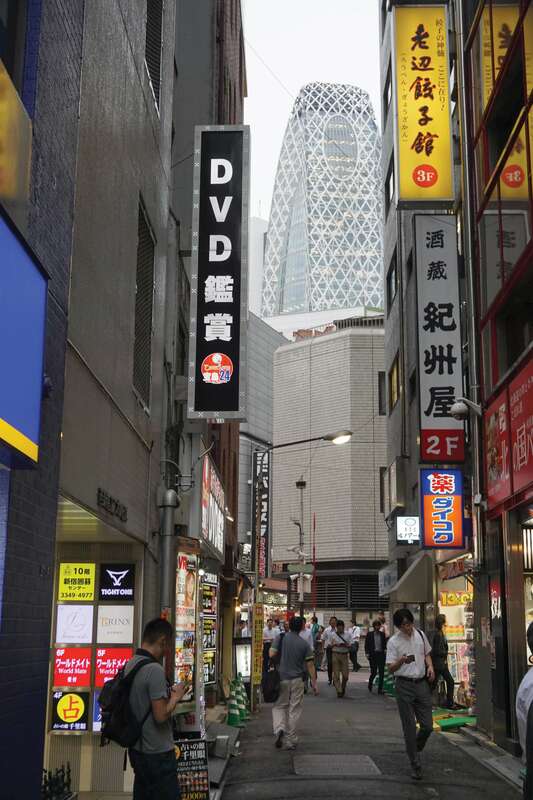 Ginza, the central shopping district, embodies this kind of textured density. Towers may be thirty feet wide, bars and shops up six flights of stairs. Seen from a tall building, Tokyo’s vast scale is apparent, a largely undifferentiated metropolis to the horizon. It is among the world’s most efficient and sustainable cities, but nature is a distant memory. The canals that defined Edo are largely decked over. Though trees are common, parks are scarce, and one is hardly aware that Tokyo is both a waterfront and a riverside metropolis. 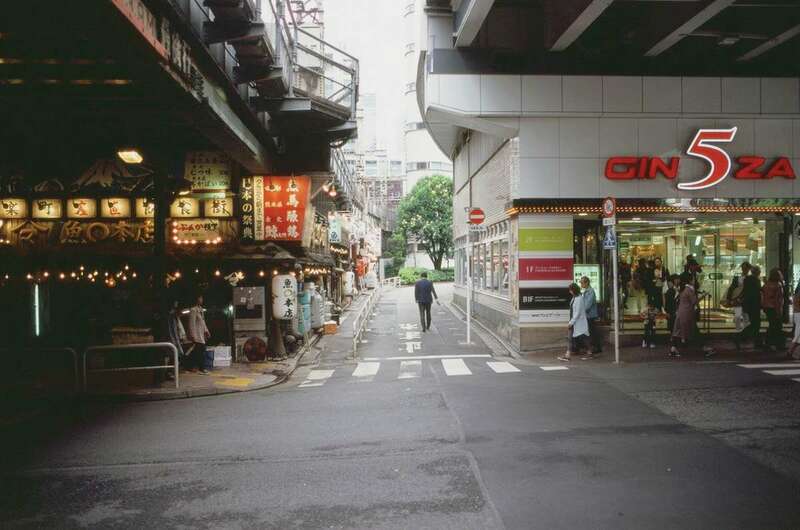 Despite the destruction of its built environment, Tokyo’s street pattern and parcellation largely persisted. As a result, much of postwar Tokyo consists of variegated towers on tight lots, making for a rich and dynamic texture at both the skyline and ground level. Though the city hosts some magnificent architecture, many of the buildings are mundane or downright ugly; The urbanism, however, is exuberant and alive. Even in the densest parts of central Tokyo, the ground floor is richly textured and human scaled, with eateries, bars and shops tucked in and among both buildings and infrastructure like these elevated rail tracks. Sections at a more modest scale create intimate moments, often with wonderfully eclectic architecture of the type(s) seen on Cat Street in Shibuya. 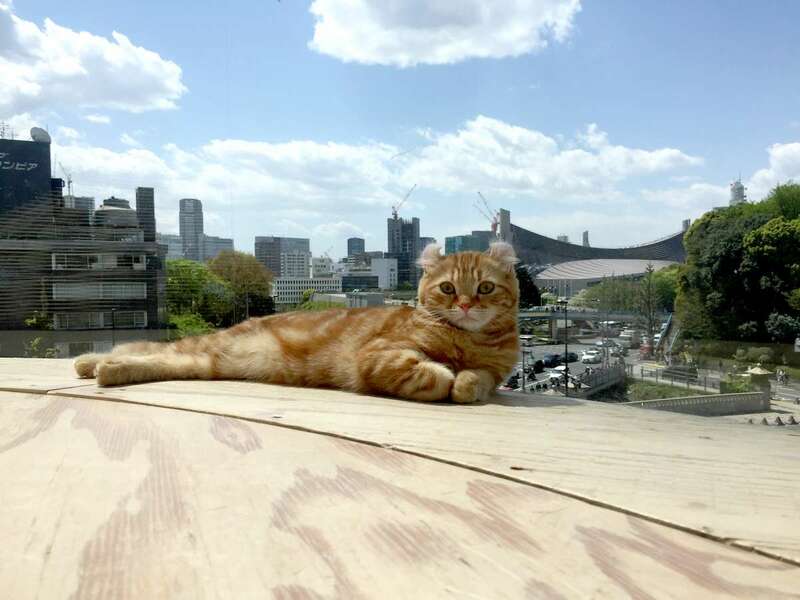 There seems to be no end to new projects throughout the city though this cat in a cat cafe near Omotesando seems uninterested. Nihonbashi Bridge is the historic center point of Edo-period Japan. Plans are afoot to bury the elevated expressway over it underground — an unusual move in a city that has largely put progress over sentiment. 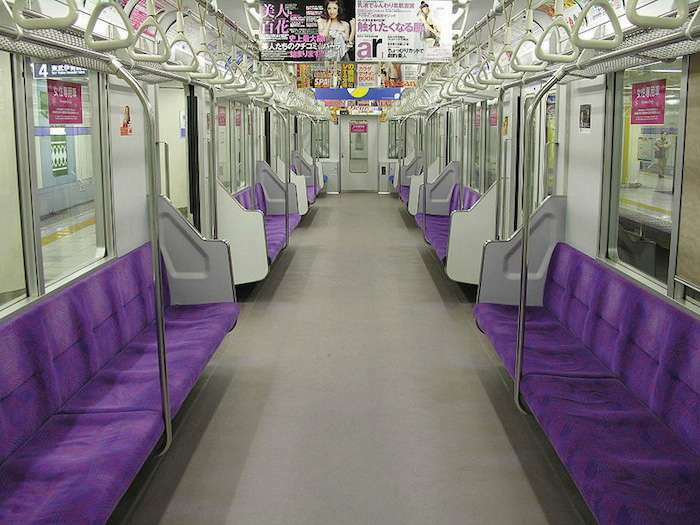 Tokyo’s rail transit is among the worlds best. 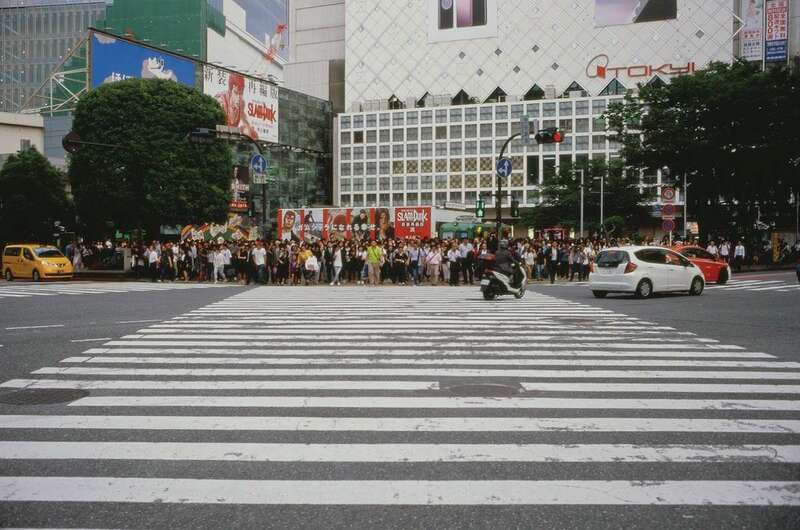 Despite throngs of pedestrians and extraordinary transit, the car is very much a presence in Tokyo, though most people don’t drive. 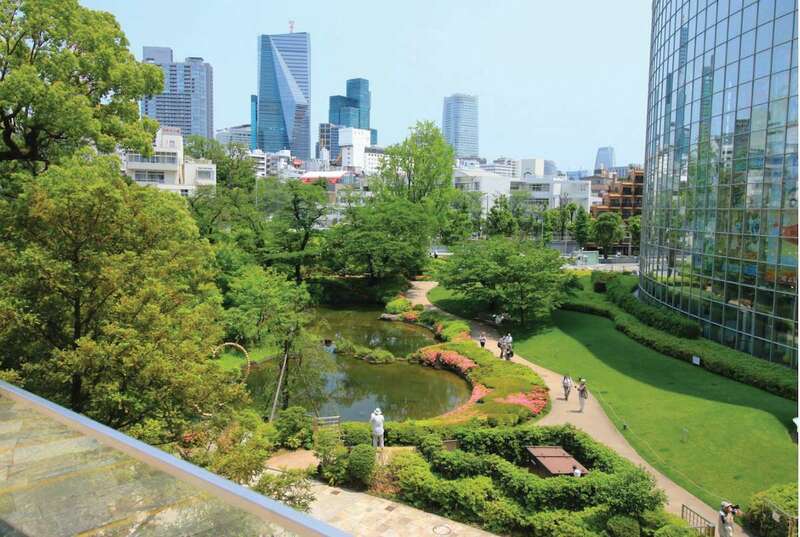 Recent development in Tokyo has favored a few towering mega-projects like Roppongi Hills, which features a mix of office, residential, retail and cultural uses. These projects are very much a world apart, above the messy jumble that makes much of the city so compelling.